Our survey asked voters to pick the top news story in the state for 2013. Though passed as federal legislation, the impact on states of President Obama’s new health care law earns it a spot on the list. The results reveal the extreme prejudice of voters to pay attention to issues most likely to alter their lives. In an unfair fight on those grounds, Obamacare implementation laps the field with 61% of the vote as the top story of the year. Q: Which of the following would you consider the biggest news story in the state over the past year: the passage of legislation increasing transportation funding, the effort to privatize liquor stores, the rollout of Obamacare, Governor Corbett’s effort to privatize management of the state lottery, or Governor Corbett announces his reelection bid? The other lesson here is that success is more memorable than failure. To that end, the passage of state transportation funding comes in second ahead of the efforts to privatize state liquor stores and management of the state lottery. Overall, 55% of Pennsylvania voters approve of the transportation funding law, while 27% disapprove. Q: Do you approve or disapprove of the recently passed state transportation package that invests $2.3 billion dollars in improvements to Pennsylvania’s highway, bridges and mass transit? Approval is highest in the Philadelphia/Southeast region (67%) and among Democrats (66%) and self-identified liberals (80%). Though never a play for base GOP votes, Republican voters approve of the transportation funding package 46-35%. However, approval flips among self-identified conservatives 38-41%. Support is highest in the Southwest (73%) and lowest in the Southeast (60%). Even Democrats (58%) and liberals (51%) fundamentally agree with the worker’s right. Voters voice strong opposition to Governor Corbett’s proposal to privatize management of the state lottery and use the revenue to increase funding on programs benefitting seniors. Q: Governor Corbett has entered into a contract with a company from the United Kingdom, Camelot, to manage the state lottery. The Governor argues this arrangement will provide additional revenue for senior programs funded by the lottery. Opponents say the lottery is doing just fine without privatization. Considering these arguments, do you support or oppose private management of the lottery? Interestingly, that position is highest among those 66 years of age and older (13% support, 70% oppose). One can conclude that a stigma attached to the concept of privatization and satisfaction with the current lottery system trumps the promise of state dollars in the minds of Pennsylvania seniors. The survey tested the attributes of a utility reform on the menu for Governor Corbett’s budget. Support for the measure stands at 59%, a result stable across most demographic groups. It registers slightly higher numbers among women, Democrats and voters in the Southeast and Scranton/Lehigh Valley region. Q: Which of the following do you believe should be the standard minimum wage in Pennsylvania: $6.50 per hour, $7.25 per hour, $9.00 per hour, or $10.00 per hour? Republicans (38%) are most likely to say the minimum wage should stay at $7.25 while Democrats (49%) and independents (34%) are most likely to back the $10.00 minimum wage. When asked who they trust more on matters concerning Pennsylvania’s economy, voters overwhelming trust businesses over labor unions by a 2.4-to-1 ratio (53-22%). Q: When it comes to issues concerning Pennsylvania’s economy, whose opinion to do you trust more: businesses or labor unions? The preference for unions is highest in the Pittsburgh/Southwest at 27% although 57% of Southwest voters still trust businesses more on economic issues. Interestingly, Democrats are relatively evenly divided on the question with 33% trusting businesses, 37% trusting unions and 31% are undecided. The preference for businesses is lowest among those 18-to-36 years old (47% businesses, 28% labor unions). "Paycheck Protection" is poised to be a hot topic in 2014 as Governor Corbett eyes election-year defining issues. Voters indicate strong support (68%) for a union worker’s right to not have his or her dues spent on political activities that they disagree with. Q: Do you believe workers who belong to a union should have a right to not have their union dues spent on political activities with which they disagree? The Pittsburgh Steelers reign as Pennsylvania's favorite NFL football team, leading the Philadelphia Eagles 41-31%. Q: Which of the following is your favorite professional football team: the Philadelphia Eagles, the Pittsburgh Steelers, the Buffalo Bills, Baltimore Ravens, Dallas Cowboys or the New York Giants? One big advantage for the Steelers is the intense home-region loyalty to the team in the Southwest. Eighty-eight percent of Yinzers say the Steelers are their favorite team. That number for the Eagles in the Southeast is 62% - a 26% disparity versus the Southwest. Football fans of the Scranton/Lehigh Valley region predictably lean toward the Eagles (31-18%) while Northern Tier and South Central fans identify more with the Steelers, 58-14% and 37-25% respectively. The Dallas Cowboys rank third at 4%, with regional highs in Scranton/Lehigh Valley (10%) and South Central (8%). For some reason we asked Eagles and Steelers whether they would let their daughters marry a fan of the other team. In a stroke of high-minded survey research, we found that 1-in-6 Steelers fan would not allow their daughter to marry an Eagles fans. 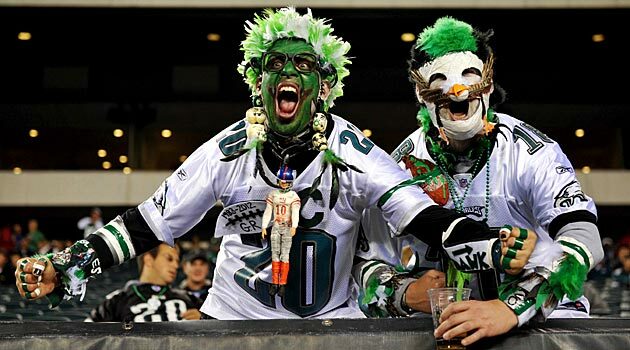 Q: If you had a daughter, would you let her marry a Philadelphia Eagles fan? Q: If you had a daughter, would you let her marry a Pittsburgh Steelers fan? 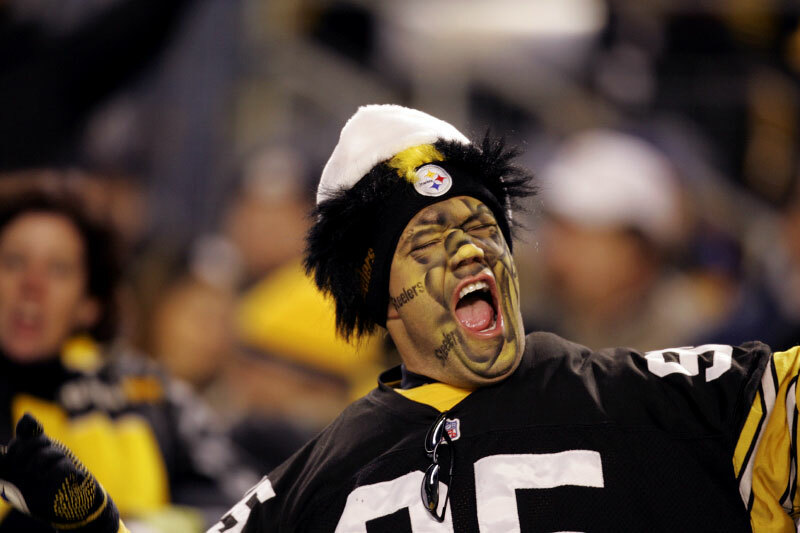 Male Steelers fans are more likely than female Steelers fan to let their daughters marry these guys. The daughters of Eagles fans have roughly a 1-in-10 chance of marrying a Steelers fan with their parents’ blessing. Penn State University is on the right track in the aftermath of the Sandusky case according to Pennsylvania voters. Q: Based on any information you have heard recently about Penn State University, would you say that in the aftermath of the Jerry Sandusky case, things at Penn State University are getting better or getting worse? The sentiment is strongest in the school’s home Northern Tier (67%) and in its political opposite, the Philadelphia/Southeast region (61%). Opinion is fairly stable across partisan lines: 55% of Republicans, 62% of Democrats, and 56% of independents. Senator Pat Toomey holds a 5% lead over Attorney General Kathleen Kane, who is hyping a 2016 campaign against the first-term Senator. Toomey leads 54-43% in the Southwest while Kane holds a 48-46% advantage in the Southeast. Q: In a hypothetical race for U.S. Senate, who would you most likely support: Kathleen Kane, Democrat or Pat Toomey, Republican? Former Congressman Joe Sestak, a declared candidate for 2016, trails Toomey by 7%. The former Delaware County Congressman holds a slightly larger lead (+6%) than Kane (+2%) in the Southeast. However, he trails Toomey (-17%) by a larger margin than Kane (-11%) in the Southwest. Among independents, Toomey leads Kane by 8% and Sestak by 18%. Q: In a hypothetical race for U.S. Senate, who would you most likely support: Joe Sestak, Democrat or Pat Toomey, Republican? Casey & Toomey: Part of the Problem or Part of the Solution? Given voters’ hostility toward Washington, this question is increasingly being asked on internal campaign polling for incumbents. Forty-one percent of voters perceive Senator Toomey as “part of the problem” in Washington, 38% view him as “part of the solution” and 21% are unsure. The Junior Senator scores better than the Senior Senator, Bob Casey. Q: Thinking about the politics in Washington, would you say Senator Pat Toomey is part of the problem or part of the solution? For Senator Casey, 44% of voters perceive him as part of the problem while 35% believe he is part of solution. In the Southwest region, 50% view Casey as part of the problem. Opinion is split 44-44% in the Senator’s home region of Scranton/Lehigh Valley. Q: Thinking about the politics in Washington, would you say Senator Bob Casey is part of the problem or part of the solution? Toomey’s numbers are superior to Casey primarily because Republicans are more likely to say Toomey is part of the solution (59%) than Democrats are to say the same about Casey (53%). Likewise, Democrats are less likely to say Toomey is part of the problem (57%) than Republicans are to say the same about Casey (63%). President Obama’s job approval among likely voters in Pennsylvania is tied directly to voters’ opinion regarding Obamacare. Obama’s job approval is 35-56% and Obamacare’s approval is 36-55%. The only region that gives Obamacare positive reviews is the Southeast (53-42%). In the remaining four regions of the state, Obamacare’s approval ranges from -23% to -37%. Q: Do you approve or disapprove of President Obama’s new health care law known as Obamacare? A full 76% of Pennsylvania voters rate the ongoing implementation of Obamacare as either “mediocre” (24%) or “poor” (52%). Thirty-five percent of Democrats rate implementation as either “excellent” (6%) or “good” (29%) while 59% call it “mediocre” (33%) or “poor” (26%). Q: How would you rate the ongoing implementation of President Obama’s new health care law known as Obamacare? Nationally, the White House and Democrats are making the case that the problems with the implementation of Obamacare are not symptomatic of larger flaws in the law. Republicans see a fundamentally-flawed concept that will bring more pain and suffering in the year ahead. Q: Which of the following statements comes closest to your opinion regarding the problems being experience during the implementation of Obamacare: Some say the problems are confined to Obamacare’s poorly functioning website, Or Others say the insurance cancellations reveal deeper flaws in the new law? In Pennsylvania, voters are dismissive (28%) of claims that these problems are confined to the dysfunction of a website. Fifty-one percent believe that the cancellation of health insurance policies is evidence of deeper flaws in the law. A majority of voters (51%) in the Philadelphia/Southeast region question the fundamentals of Obamacare. The sample size for the survey is 604 likely voters and the margin of error is +/-4%. The Interactive Voice Response (IVR) automated telephone survey was conducted December 21-22, 2013 by Harper Polling. The total percentages for responses may not equal 100% due to rounding.